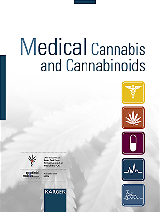 In patients with spontaneous bleeding in the brain (intracerebral haemorrhage, ICH) those, who had used cannabis, showed less disability when leaving hospital. This is the result of an analysis of an international, multicentre, observational database of 725 patients with spontaneous bleeding in the brain conducted by scientists of the Neurological Service, San Camillo de' Lellis General Hospital in Rieti, Italy. Cannabis reduced pain severity and opioid consumption in 274 treatment-resistant chronic pain patients. This is the result of an open clinical study conducted at the Pain Relief Unit of Hadassah-Hebrew University Medical Center in Jerusalem, Israel. The primary outcome was change in pain symptom score on the S-TOPS (Treatment Outcomes in Pain Survey - Short Form) questionnaire at 6 months follow-up. Macedonian parliament's health committee approved the amendment of the law on control of drugs and psychotropic substances, that would allow the use of cannabis products for medicinal purposes. Stojanco Stojkovski, State Secretary in the Macedonian Ministry of Health, who proposed the changes to the law, declared that "The need to change this law comes from the requests of patients who want to have the option to use naturally derived cannabis products, under strict supervision." Australia is expected to legalize the cultivation of cannabis for medical or scientific purposes with a bill introduced to parliament on 8 February -- the first step towards doctors eventually prescribing it to patients with severe diseases. Scleroderma is a group of rare diseases associated with inflammation and fibrosis affecting the skin and multiple internal organs. In a mouse model of dermal fibrosis the cannabinoid VCE-004.8, a synthetic derivative of CBD (cannabidiol), inhibited fibrosis of the skin induced by bleomycin. This effect was mediated by activation of the CB2 and the PPAR-Gamma receptors. In a study with 34,653 adults cannabis use in the years 2001-2002 was associated with a higher risk for alcohol and tobacco use disorders three years later (2004-2005), but not with any mood disorder or anxiety disorder. Department of Psychosis Studies, King's College London, UK. 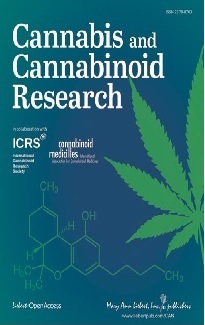 In a study with 27,461 adults cannabis use in the years 2001-2002 was associated with a fivefold increased risk for alcohol use disorders three years later. In a study with 8,157 patients cannabis use did not significantly impact on doses of antipsychotics required during the periods of acute exacerbation in patients with schizophrenia or schizoaffective disorder. Allergic airway inflammation was assessed in mouse models of acute asthma. Researches showed that antagonism of CB2 receptors may represent a novel pharmacological approach for the treatment of allergic inflammation and other disorders associated with an increased number of eosinophils, a certain form of white blood cells. Institute of Experimental and Clinical Pharmacology, Medical University of Graz, Austria. A study with 161 females obese subjects had a lower olfactory capacity (capacity to smell) than non-obese ones and elevated fasting blood 2-AG concentrations in obesity were linked to a lower olfactory capacity. Hospital de Mar Medical Research Institute, Barcelona, Spain. In a mouse model of atopic dermatitis activation of the CB1 receptor reduced inflammation. Department of Cosmetic Science and Technology, Seowon University, Cheongju, Korea. In a rat model of periodontitis activation of the CB2 receptor by the synthetic cannabinoid HU-308 demonstrated anti-inflammatory, osteoprotective and pro-homeostatic effects. Faculty of Dentistry, University of Buenos Aires, Argentina. In an animal model of schizophrenia a treatment with CBD (1mg per kg body weight, intraperitoneally) during puberty prevented psychosis. The treatment did not modify the animals’ body weight gain. Department of Psychiatry, Federal University of São Paulo, Brazil.